The common garden moth with the distinctive markings of a cross on its wings is the haploa clymene. This moth is a member of the Arctiidae family, which also includes lichen moths and tiger moths. The haploa clymene is active both day and night and poses no significant threat to a garden, even in its larval stage. The clymene moth's life cycle has four stages. It starts out its life as a fertilized egg, which is laid by an adult moth onto a leaf. The egg hatches into a caterpillar, and the caterpillar feeds until it is ready to enter the pupae stage. Once the pupae stage is complete, an adult clymene moth emerges from the cocoon. Clymene moths usually break free of their cocoons between June and August. Clymene moths are found in North America as far north as Quebec and Maine. They have been known to live as far south as Florida and as far west as Kansas and Texas. They live in wooded areas and on plains. Clymene larvae or caterpillars live and feed on oak, peach and willow trees. 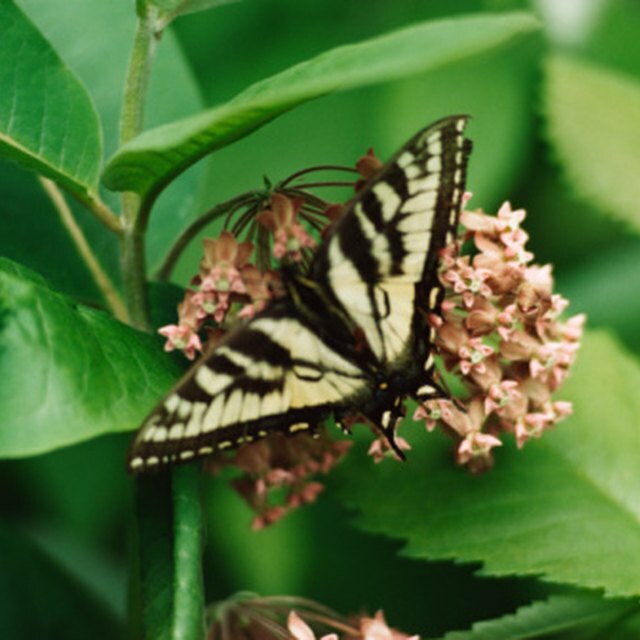 They also eat other plants like the joe-pye weed and the leaves of the boneset plant. An adult moth uses its specialized tongue to collect fluids such as nectar from flowers. Clymene moths are often active during the day. They can be brown, yellow or white, but will almost always bear the distinctive dark markings that resemble a cross when their wings are folded. 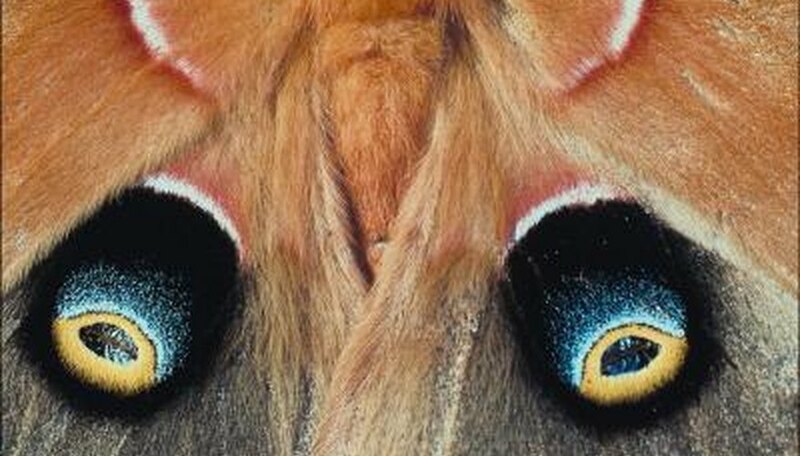 They also have dark spots on the corners of their lower wings. This insect may have been named after the Greek mythological figure, Clymene. In Greek mythology, Clymene was the mother of Atlas, Epimetheus, Prometheus and Menoetius. Colleen Flood began her writing career in 2000. She has written for "Alaska Business Monthly Magazine," "Alaska Contractor Magazine," Chelsea House Publishing, Mason Crest Publishing, "Chicken Soup for the Grandparent's Soul" and "The Writer's Digest." Flood has a Bachelor of Education in elementary education from the University of Alaska, Anchorage. Flood, Colleen. "Moths That Have Markings of a Cross on Wings." Sciencing, https://sciencing.com/moths-markings-cross-wings-8560437.html. 24 April 2017.